We are hosting our annual MasterPiece Mania where you could enter any ECE related project and become eligible to win cash! 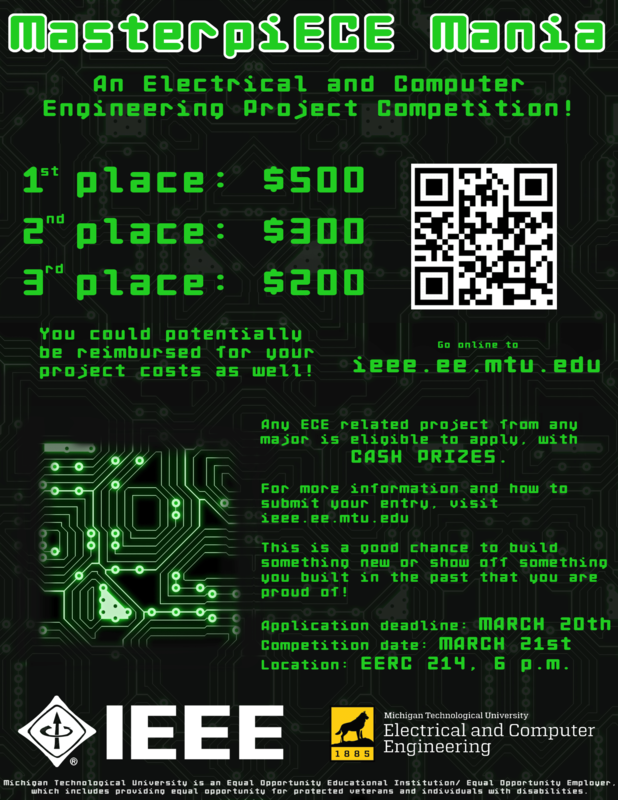 For more information email us at ieee@mtu.edu or stop by EERC 809 and talk to any present officer! Our primary mission is to provide a usable lab space for the purpose of completing coursework or personal projects to all students of Michigan Technological University, as well as the general community. We keep a fully stocked electronics lab with tools, software, and free common parts to be used by our members. To see what we are capable of, check the Lab Description.